I’m rooting for Rain and Calm. And if I had to bet I would pick those 2. I also have Rain/Miso as my picks for this group. I don't foresee any trouble for Rain in this group. 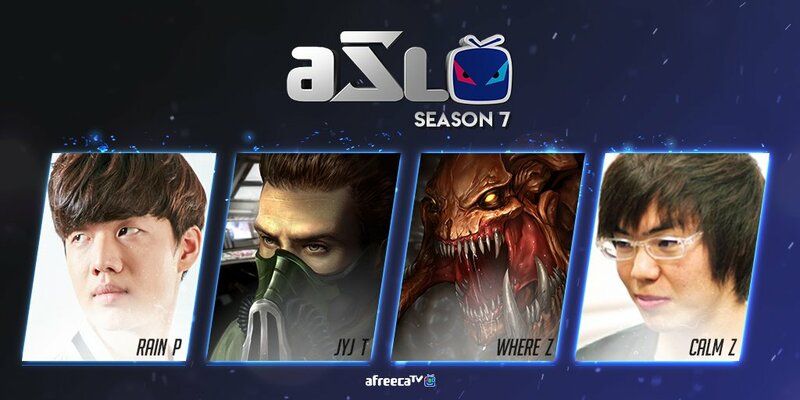 JyJ has a hell of a battle coming up. Unless of course, he wins with some proxy like a BBS. Rain and jyj is my predictions but really rain is the is the sure advancer, other three basically split 33% odds to make it out imo. Seriously, Miso has been in how many ASLs and we still don't have a pic for him? EDIT: BTW, the previews are up! Sorry for the delay this week! If Calm still have those pretty glasses. My bet is on him getting out. So Calm and Rain I guess, but then again... my race bias wants terran to go trough. Hard choises. My LB is Rain and Miso! But first i must say a big thank you to BLinD-RawR for making yet another thread like this one ! Rain should breeze through but the quality of his play is so volatile. I am going to predict Rain and Miso, hopefully the former do not fall for hydra breaks. The only way I see JyJ getting out of this group is two hail mary cheese strats. A little trash talk between Calm and Where. I like this. I hope Calm plays better than last season. Okay, JyJ with TT, im rooting him 100%. Can't belive I doubted the guy! Yeah I remember the Nuke OSL/MSL stuff...was so disappointed in clam in those. Hope he just doesn't try to cheese out and actually tries to play.